If you are planning an international expansion of your brand, consider Export Portal as your number one online destination for promoting your products and services to the global audience. Export Portal allows its users sourcing reliable importers, exporters, manufacturers, buyers, wholesalers and quality products from Chad and all the countries of the world. Chad is completely open to international trade. The country mainly exports cotton, oil, livestock and gum arabic to the United States, France and Japan. Chad cotton exports usually go to Portugal and other countries of the European Union, while most beef exports go to Nigeria. 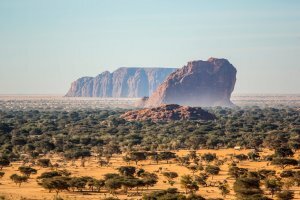 Chad main exports are oil, gold and uranium which account for over 95 percent of total exports. Main export partners are the United States, China and France. Chad Gum Arabic has been traditionally exported by France, but increasing volumes now go to the U.S. Being a natural exudate of the Acacia tree, gum Arabic is the most ancient of all gums. It is usually used in the agrifood, pharmacy and cosmetics. 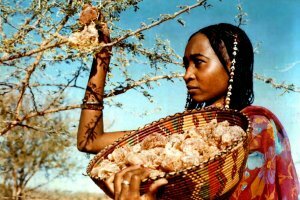 Chad is the 2nd largest gum Arabic exporter and producer in the world after Sudan, with approximately 20, 000 tonnes a year. Export Portal is your reliable source to source Variety Gum Arabic from verified suppliers located in Chad. Cotton is another extremely important export product for Chad's economy, both in terms of income generation for farmers and for export revenue. It represents 2/3 of total exports from Chad and almost 40% of the nation's total population are occupied in the sector. Interested in buying or selling Chad Cotton? You've come to the right place. Export Portal features the list of Top Quality Chad Cotton Importers, Exporters, Manufacturers and Wholesalers. The economy of Chad is mainly based on oil production and agriculture. The oil production sector provides approximately 60 percent of the county's export earnings. The rest 40% are provided by the cotton and arabic gum cultivation, as well as farming and cattle ranching. Chad's agriculture is determined by the climatic conditions of the country. The southern territory is the most fertile and best for sorghum, millet, peanuts, potatoes, rice and manioc cultivation. Cattle sector is based on sheep, goats and camels ranching. Chad produces minerals such as natron, uranium and petroleum. The main industries are the food processing, the production of textiles and the production of light consumer goods. The telecommunications and banking services sectors represent 1/3 of the Chad's gross domestic product and attracts most investments. The major imports of Chad are machinery, industrial goods, transportation equipment, food products, consumer goods, electrical and electronic equipment and textiles. Its main import partners are the USA, the EU, China, Germany, France and Cameroon. Chad is completely open to international trade and its current trade policy aims at changing outdated and complex practices. The country is a member of different organizations including the WTO, the UDEAC (Customs and Economic Union of Central Africa), the CEMAC (Economic and Monetary Community of Central Africa), the ECCAS (Economic Community of Central African States), the ACP (African Caribbean Pacific) and the Free Zone. Chad's customs tariffs are based on the CEMAC common external tariff (CET), which are ad valorem. The CEMAC CET is applied on the c.i.f. (cost, insurance, freight) value of goods.